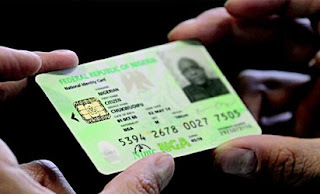 NIMC Spokesman, Loveday Ogbonna, urged enrollees in the year 2012, up to August 2013 and who were yet to pick up their cards, to do so immediately. ”Applicants who have relocated and want their cards transferred to their current location should visit any NIMC office closest to them to request for a card transfer form. ”They should fill and submit the form to the State Coordinator or Local Government Supervisor for processing. ”This is possible for those who either received text message or confirmed via the list pasted at the enrollment centres that their cards are ready for collection. This service is free for now and available at all enrollment centres,” he said. Ogbonna said that the reasons were because they had either relocated from the locations where they enrolled, or had changed the phone numbers they provided at the point of enrollment into the National Identity Database (NIDB). ”Thousands of registered applicants have changed the phone numbers they provided at the point of registration, and as such, may not have received our card collection notifications, while some persons may have changed location since after enrolment.